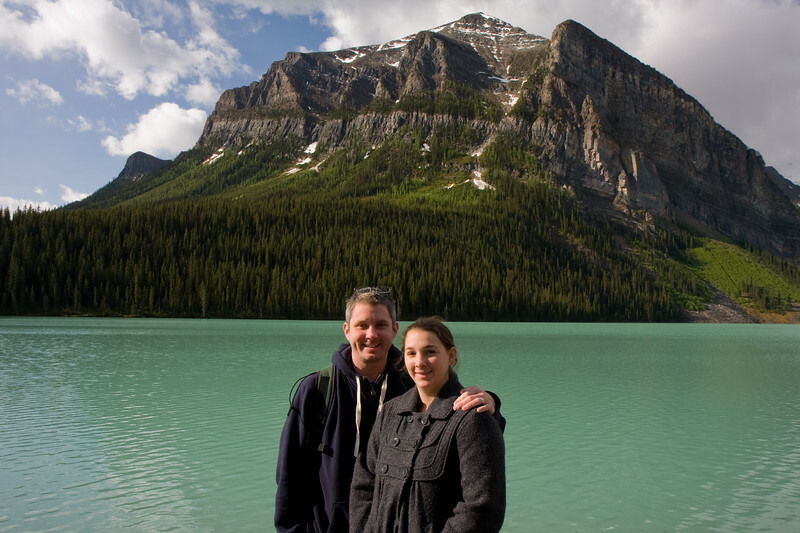 Finally, Finally, Finally....The stars aligned and we were able to spend a few days in beautiful Banff National Park. I could spend months exploring this park, but that's not likely to happen for another 25 years...So, we packed a week's worth of activities into 2 full days of sightseeing and hiking. After spending the first part of the week in Edmonton for work, we took off to Calgary so that we could eat breakfast at our most favorite spot in Canada "De Dutch". Great breakfast pannekoek (Alex had his first), and then on to Banff just a 90 minute drive from Calgary. We setup at the Fox Hotel...great place right in Banff and also has it's own hot springs cave. We planned out every sunrise and sunset and then went for it. Here's a few of my favorite pictures from the short time were were there (although, we'll definitely be coming back). The view from our patio at the Fox Hotel in Banff. Definitely recommend staying at this place. 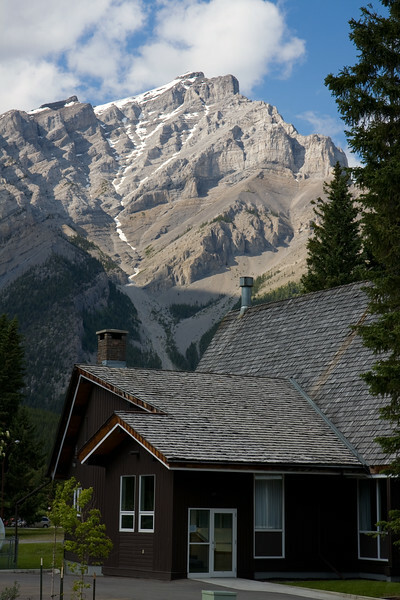 Reasonably priced (for Banff anyways) and has it's own cave/hot springs that are a great, relaxing way to end a long day of hiking and sightseeing. 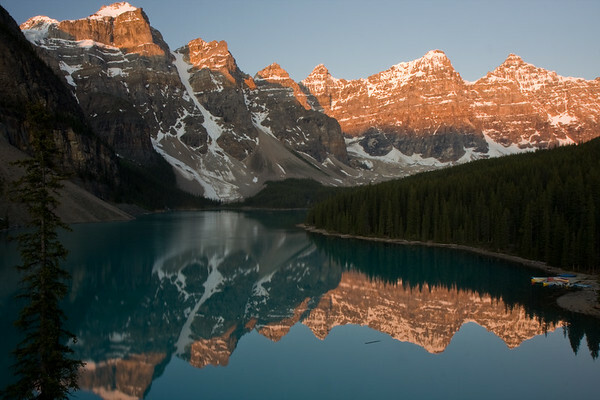 Moraine Lake at sunrise. 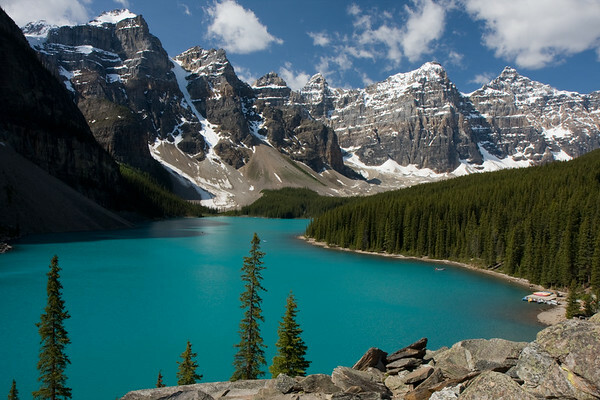 This is one of the most famous views from the Canadian Rockies...it's even featured on the back of the Canadian $20 bill. 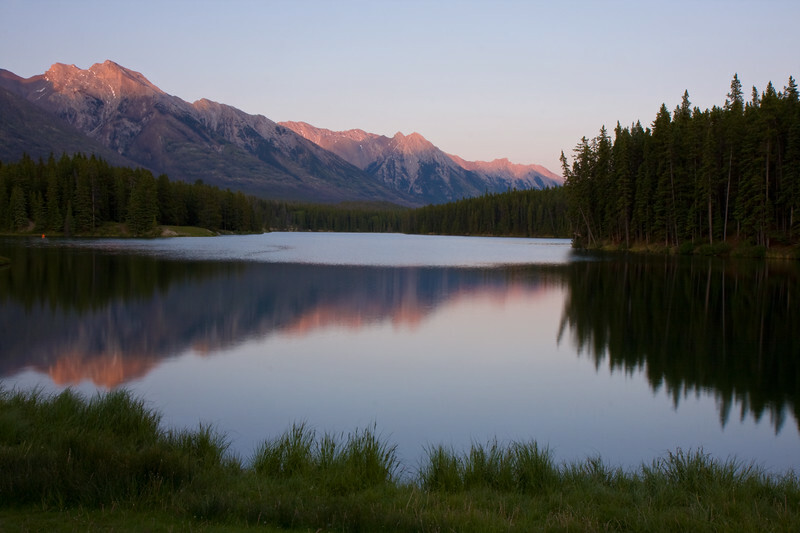 I had to wake up at 3:30am and make the drive from our hotel in Banff to catch the sunrise (around 515am). Crazy how long the days are when you're that far North! 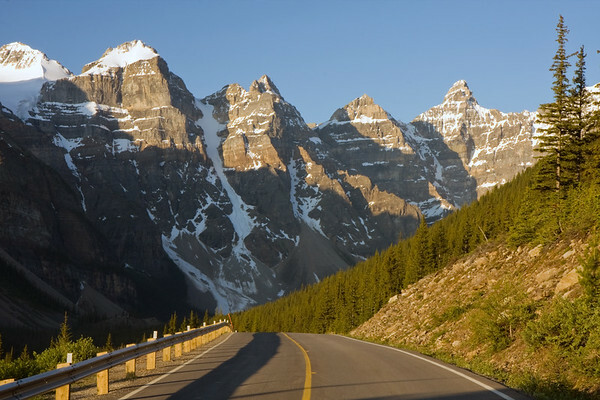 The road to Moraine Lake. If you wake up early enough, you can stand in the middle of this road to take a picture of the alpine scenery without getting mowed down by one of the millions of RV's that make the trip daily. 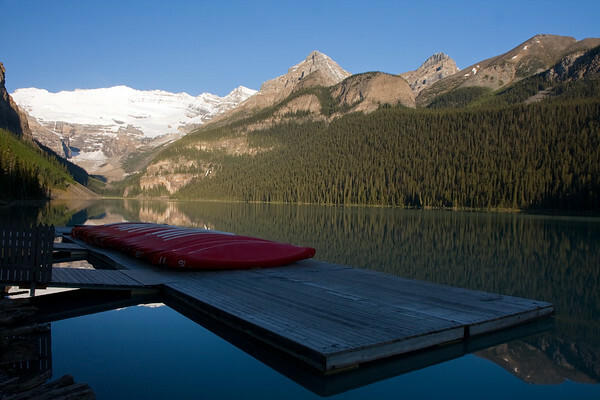 A very calm Lake Louise from the canoe deck in early morning. Took this picture before heading up the hillside towards Agnes Lake and Little Bee Hive. A panoramic taken at Mirror Lake with Big Beehive reflecting in the water. 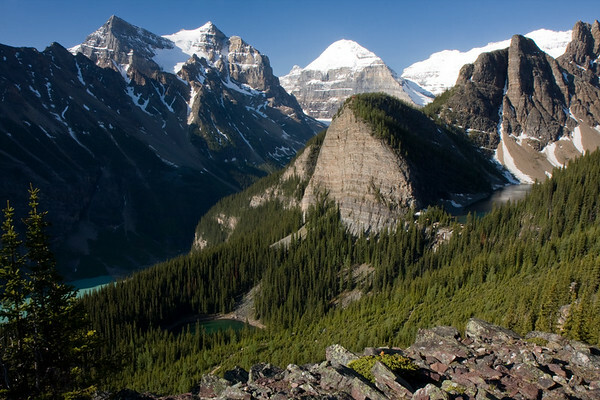 After my visit to Moraine Lake, I headed down the road to Lake Louise for a hike up to the summit of Little Beehive. This was the view from the summit. Simply amazing. 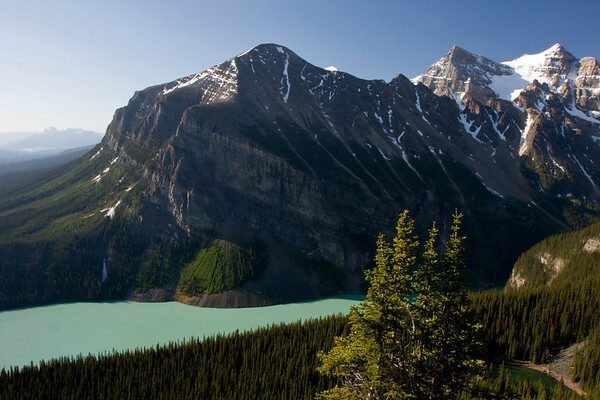 The lowest green lake is Lake Louise...as the Summer wears on, this lake becomes even more green from all the rock flour flowing down from six different glaciers. The next lake to the right is called Mirror Lake and sits just below Big Bee Hive. The lake to the far right is called Agnes Lake. It's a popular destination since there's a tea house that's open in Summer and serves up some well deserved treats after the hike up. Looking down at Lake Louise from the summit of Little Bee Hive. Alex loves the camera timer because it beeps and flashes until it finally takes the picture. He looks so casual and relaxed in this picture. Check out his little legs crossed as if he's kicking back in his Lazyboy recliner! 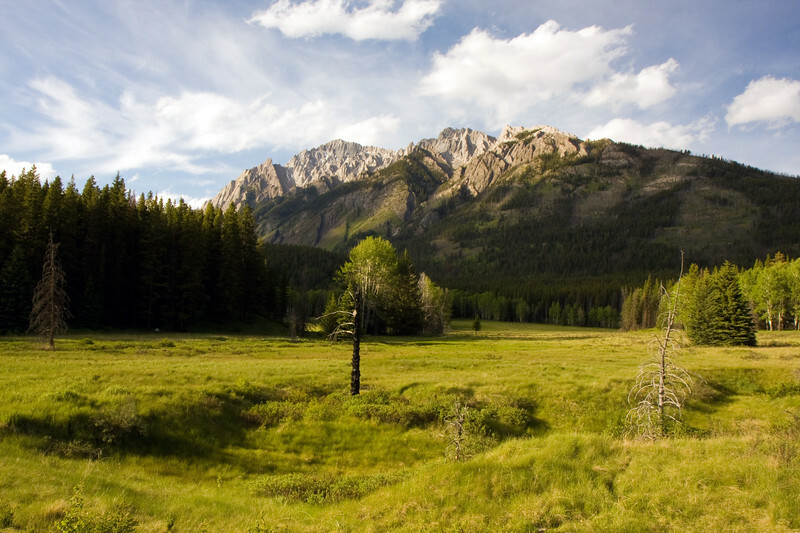 We walked this short loop called the Fenland Trail which is right in the town of Banff. 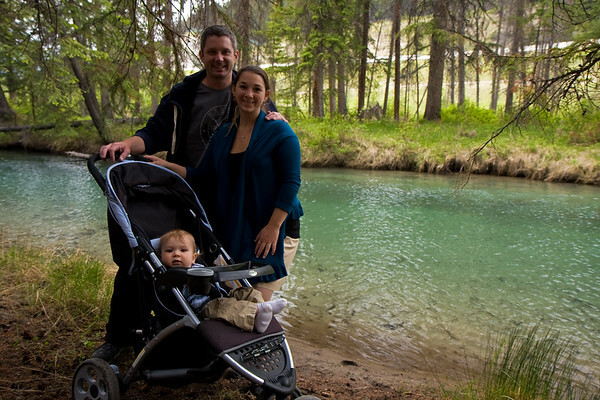 It's a cool little hike where you can see crystal clear water, canoes heading out to Vermillion Lakes, and baby elk (at least that's what we think they were). 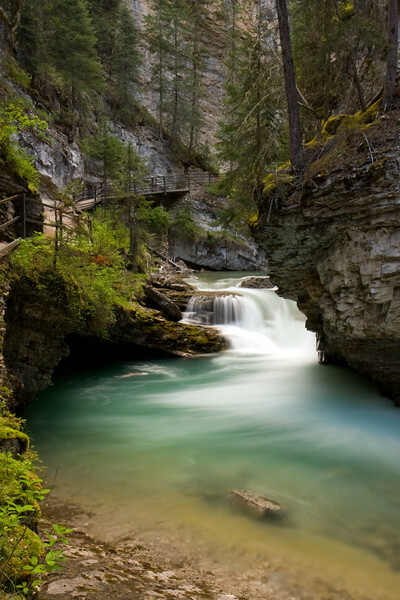 Amazing pools found in Johnston Canyon. You can also see the walkway that the park service has constructed to navigate some of the more narrow sections of the Canyon. 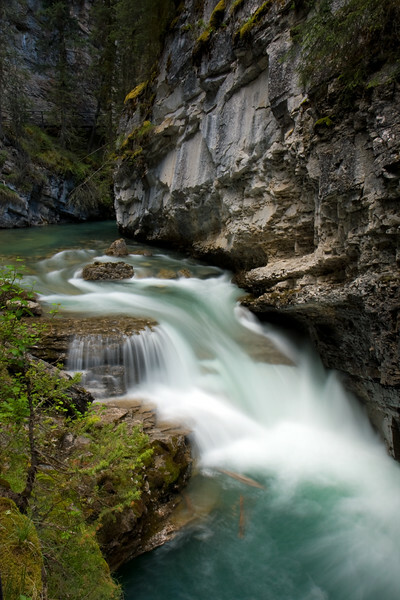 Johnston Canyon was never on the "to do" list....but it's always those places where you have low or no expectations that seem to stand out the most. We went for a drive in the late afternoon along the Bow River Valley Parkway, and decided to stop off and do the quick 1km hike up Johnston Canyon to see the lower falls. It was a perfect time to go...no crowds and perfect waterfall lighting. This picture was taken about half way up the hike. We had a great time and would highly recommend seeing this area after 7pm in the Summertime. The path is in great shape, and we were able to get the stroller all the way up to Lower Falls so that Alex could see the falls (he loved them). Did I mention that this trip was my Birthday present from my wife? Thanks Oneea! It's a trip I've wanted to do for so long, and finally had my chance to see one of the most scenic areas in all of North America. 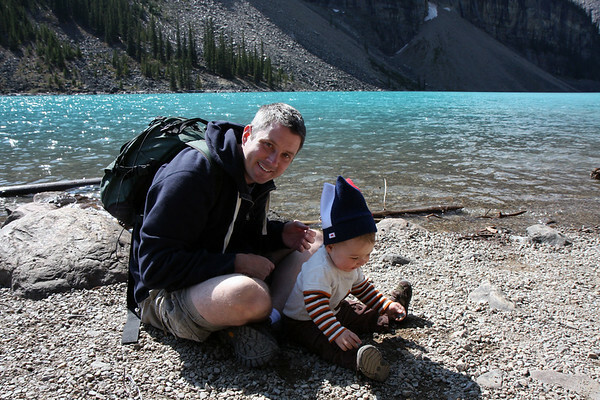 Little Alex wasn't all that interested in the scenery at Moraine Lake, but those rocks along the shoreline were sure fun.